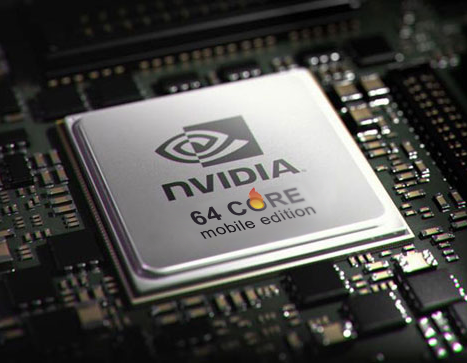 With the coming of quad core CPUs in mobile phones in 2012, are the manufacturers focusing on the right fight or are they in a spiralling battle over engine size? Adam Bunker, over at Electricpig recently wrote an interesting article about this new wave of ever faster handsets suggesting we are not ready for quad-core phones. But he fails to go into any depth about what the industry should be focused on instead. This war for raw horsepower reminds me of the sports car industry; where until recently we saw all the major brands fighting to put a bigger, more powerful engine into their supercar – Bugatti Veyron anyone? Recently though we have seen a dramatic change with even Ferrari and Porsche using smart technology and hybrid power to outperform the competition. Performance through lightweight used to be the exclusive motto of Lotus Cars, but now everyone seems to get it – mobile phone manufacturers need to pay attention. There was a great little anecdote when Apple launched the iPhone. Rumour said their teams spent a disproportionate amount of time optimizing the hell out of the scrolling to deliver a slick 60fps frame rates. While other stories tell of phone companies cutting corners and costs by not using the best device drivers optimized for the selected chipset. Either way, there is a significant amount of mileage in optimization to gain smoothness of user experience and speed of application execution. Software optimization can also provide savings in battery life, for example, researchers in North Carolina have shownthat letting mobile devices “nap” while waiting for access to public Wi-Fi can help extend battery life, equally research at Aalto University in Finland have shown that by sending data in bursts, rather than at a constant bit rate, and then forcing the phone’s modem to idle between bursts, a massive 74% saving in 3G power consumption can be achieved. Combine this with smarter backlight controls and automatic mobile CPU underclocking to wind back the power hunger of that latest multi core CPU when the full power is not required – you certainly don’t need full CPU power or constant network downloads when processing emails in the background, with phone in pocket.Of course, if device manufacturers quit with their obsession of anorexic, size zero phones and focused on balancing style with long life use their business would be more sustainable. It’s not long after buying the latest super-thin super model before you realize how high-maintenance they are, always crying out to be fed more power.Lastly, research at North Western University has created an electrode for lithium-ion batteries that allow the batteries to hold a charge up to 10 times greater than current technology and for much longer too. I can’t wait! When consumers complain about the speed of their phone it is quite often not the CPU, but their network connection. Their phone is either waiting to connect, has failed to connect, or the connection they do have is simply too slow for that modern interactive website. In fact part of the software optimization that all our companies can do is to refine our websites for mobile devices and mobile data connections. 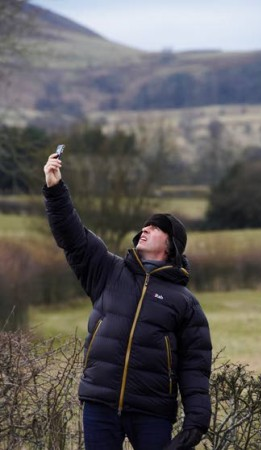 But ultimately phone manufacturers need to work with mobile network operators to build faster, more efficient data networks with decent coverage that extends beyond the city centre and into the countryside, especially along road and rail routes. When I can get an HSDPA connection, it works a treat and I look on in envy at everyone in the US with their 4G/LTE data networks as we just enter initial trials here in the UK. Speculation of Apple and Google buying up their own network would make sense here as it would give them the ability to control that critical part of the user experience. Far too often I’m even finding voice connections drop away on my smartphone where my old feature phone would deliver a perfect signal – there’s progress for you.I found it interesting how some device manufacturers have recently chosen to use single core CPUs rather than power hungry dual cores, I presume this is with the aim of improving battery life, perhaps more companies need to adopt the less is more, performance through lightweight mantra that Lotus Cars has been preaching for decades. This entry was posted in smartphones and tagged mobile phone, mobile phones, SmartPhone, smartphones, user-experience. Bookmark the permalink.